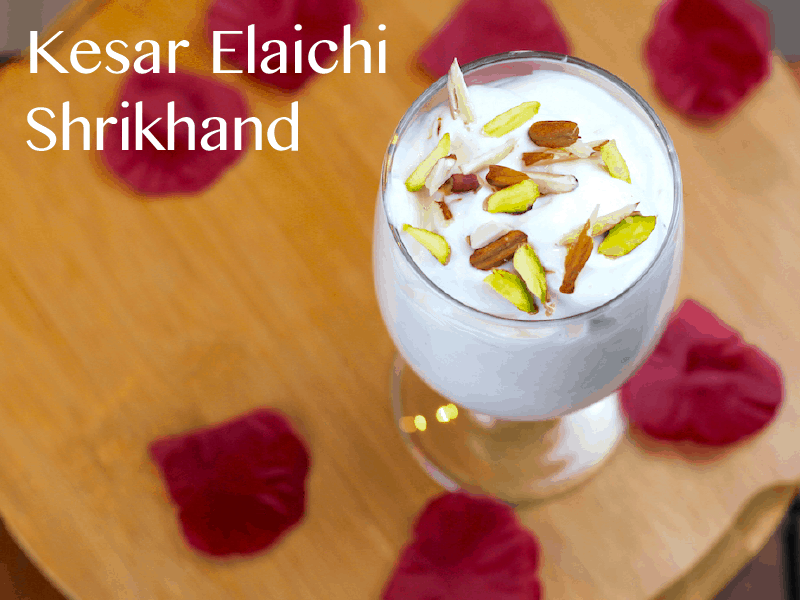 Shrikhand recipe with step by step photos, this is a kesar elaichi shrikhand recipe which is very quick and easy to make. In this shrikhand recipe I have used cardamom or elaichi and saffron or kesar but shrikhand can be made with mango and almonds. 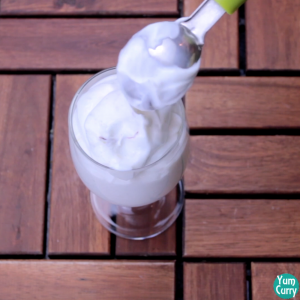 This shrikhand recipe is called flavoured shrikhand recipe. 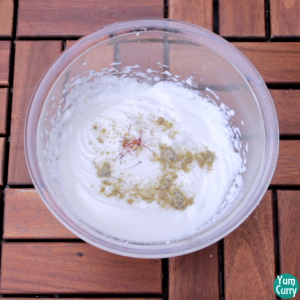 For making shrikhand all you need is hung curd or chakka and to make hung curd you have to remove the water from curd. This process takes 4 hours. Other than that making shrikhand is very quick and simple process. 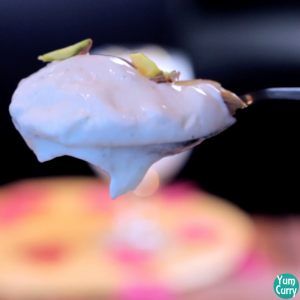 Shrikhand is an Indian dessert recipe which is most popular in Maharashtra and Gujrat. 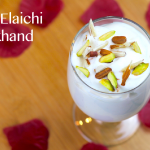 Shrikhand is mostly served in special occasions like wedding, Diwali or Holi. Even in my home I make it during festive seasons along with Gulab jamun and Kaju katli. I have also made mango lassi recipe which is also made with yogurt or curd, it’s a nice refreshing drink. 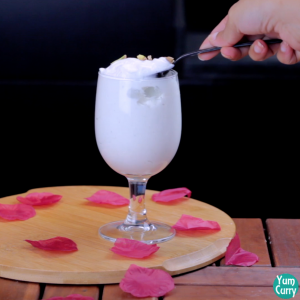 Do check out the recipe here – Mango lassi recipe. 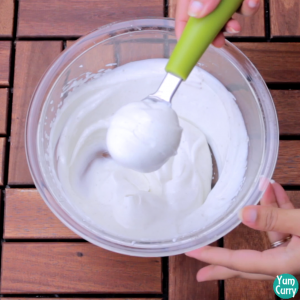 In this recipe I have made hung curd at home but you can also use greek yogurt for this recipe as it’s already thick in consistency. 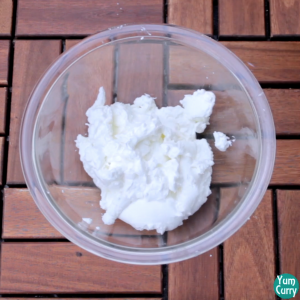 Also I would suggest to use fresh curd as the little old curd will require more sugar for the sweetness. 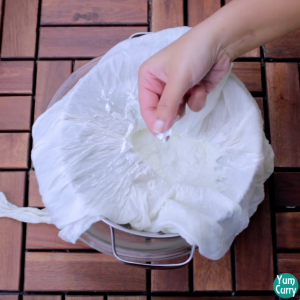 To strain the curd we need a muslin cloth which works the best, but if you don’t have muslin cloth you can use a cotton handkerchief for straining the curd. 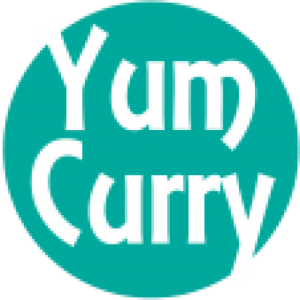 Hope you like this recipe from my kitchen, do let me know in the comment section below. Also like and share it with your family and friends. Enjoy! Take a big strainer and put it on a bowl. 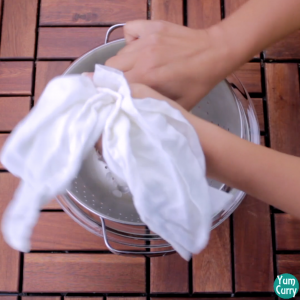 There should be some space between the strainer and the bowl to collect the water. 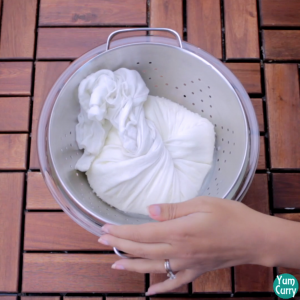 Now place a muslin cloth on the strainer and add curd to it. 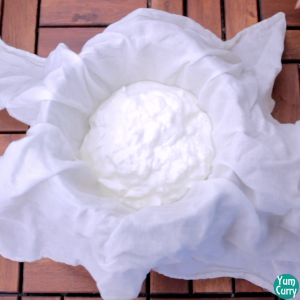 Pull the ends of the cloth and cover the curd with it. 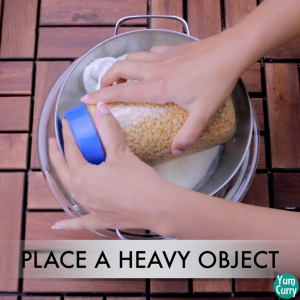 Place a heavy object on it and refrigerate the whole setup for minimum 4 hours. 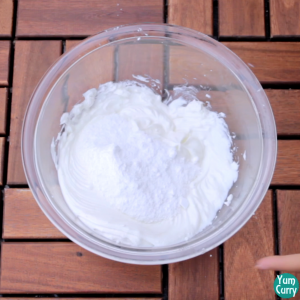 After 4 hours, take it out and transfer the curd to a bowl. Now add the powdered sugar and mix it well. 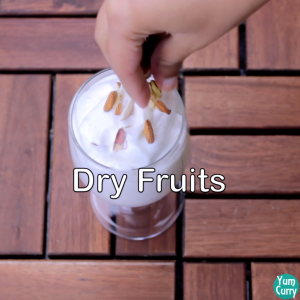 Garnish it with dry fruits and serve it chilled. Refrigerate the rest of it for 1 week. 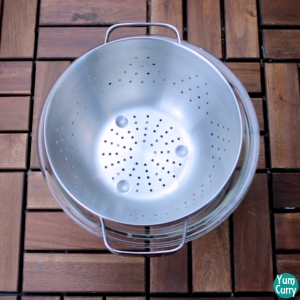 Take a strainer and place it on a bowl. There should be a little space between the strainer and the bowl to collect the water. Now place a muslin cloth on it and add the curd to it. 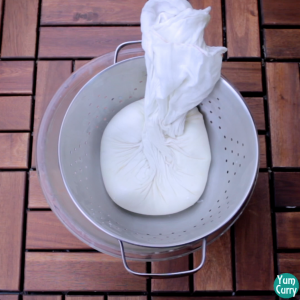 Pull all the ends of the muslin cloth and cover the curd fully. Now place a heavy object on top of it and refrigerate the whole setup for minimum 4 hours. Take it out after 4 hours. The curd must have left all the water and have become thick. 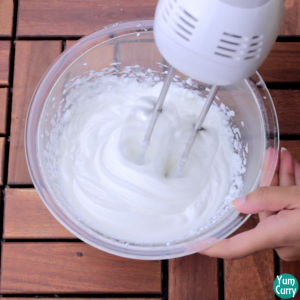 Transfer the curd to a bowl and beat it using an electric beater or hand whisker for 5-10 minutes until fluffy and soft. 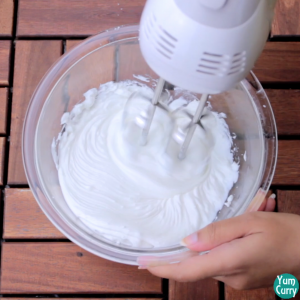 Add the powdered sugar to it and beat it again to mix well. 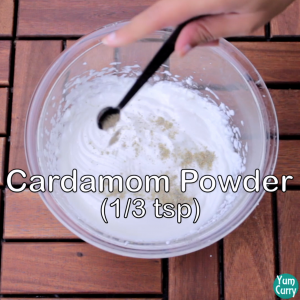 At last add the cardamom powder and saffron strands to it. 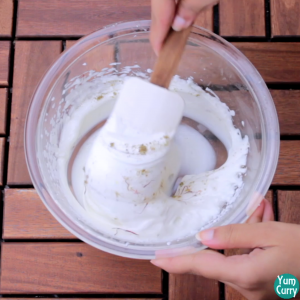 Mix well using a spatula. Take it out in a bowl, garnish it with some dry fruits and serve chilled.